Transforming the interior design of your home or business is simple when you turn to our staff for comprehensive tile flooring solutions. When you visit our showroom to discuss your specific ideas and design vision with our experts, we’ll be glad to help you choose the best style for your new floor from our extensive collection. With a wide range of options available in a broad selection of colors, designs, textures, and styles, you are sure to find the floors that fit your needs in looks, performance, and price. We work together with you to narrow down your ideal tile floor to the most suitable choice for your individual budget and personal taste. Depending on the needs of your residential or commercial property, we recommend a tile material that is the most fitting in terms of style and durability. Regardless of the type of tile you choose, maintenance is simple and requires minimal cleaning on your behalf. For more active areas that receive a great deal of foot traffic, tile floors make a great choice for lasting resilience while upholding a classic design aesthetic. Our flooring professionals know how challenging it can be to shop for new flooring for your home or business. Transformative new floors are a significant long-term investment for your property. That’s why we ensure that you’re completely satisfied with your tile floor by discussing your goals for a floor that combines timeless looks with durable performance at an affordable price. When you visit us to begin the process of purchasing a new floor, take advantage of our staff’s extensive knowledge of our products and the flooring industry. We will gladly provide samples of our floors for you to take to your home or business for comparison to its existing décor, and will even visit your property if you prefer for us to give you firsthand advice on the designs that we believe are ideal for your current aesthetic. In order to provide the highest level of complete customer service, our friendly flooring experts offer solutions at every step of the process. After we have helped you choose the best flooring option for your home or business, we will schedule an appointment with you to visit your property so that we can finish the job with a tile flooring installation. Our installers have worked on a wide variety of projects for both commercial and residential clients over the years, so you can depend on us for timely service and efficient solutions, regardless of how large or small your flooring area may be. Once we have removed your existing floor to expose the clean subfloor, we will begin measuring the area where you intend for us to install the new floors. Following a detailed measurement of the floor, we will determine the best approach for installing the floor by following the specific instructions provided by the manufacturer of the product you’ve chosen. All of our floors are designed to last and resist any damage from accidents that may occur over time. In the event that anything should happen to your floors, you can rest assured that many of our products and services are completely covered by our special guarantees. Feel free to reach out to our professionals for additional information about our Ultimate Confidence and Lifetime Installation guarantees when you visit our showroom to begin your next flooring project. 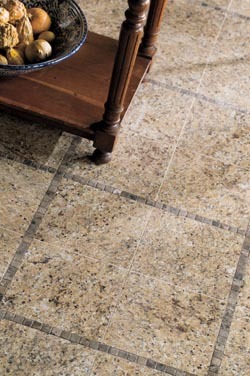 Contact us to begin the process of choosing new tile flooring for your home or business. We serve residential and commercial clients in San Marcos, California, and the surrounding areas.